Fibre reinforced composites have become important materials for manufacturing a diverse range of industrial products. Keratin-rich materials including sheep wool and poultry feathers can have added value by partially substituting synthetic polymers in the production of biocomposites with improved mechanical properties. The strong intermolecular disulfides, hydrogen, ionic and hydrophobic interactions of keratin make it behave as a thermoset material which is not easy to process and thermally blend with other polymers. 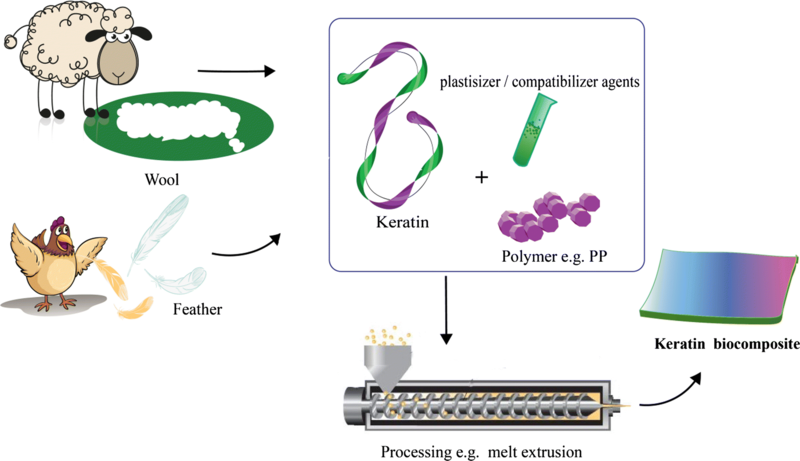 Therefore, different plasticizers, compatibilizers and coupling agents were investigated in order to make keratin a processable material. 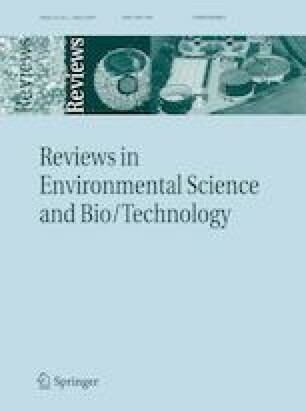 This review discusses recent developments in the production of thermoplastic keratin blend biocomposites. In particular, the processing and preparation conditions has been discussed, and their strengths and limitations are enumerated and critically evaluated. The online version of this article ( https://doi.org/10.1007/s11157-019-09497-x) contains supplementary material, which is available to authorized users. This work was supported by the Lincoln AgriTech Ltd. and Wool Industry Research Ltd. (WIRL), Christchurch, New Zealand, Grant Number: PR17518. The sheep wool and feather in the graphical abstract are created by Freepik.